Gone are the days of advertising where marketers were mainly charged with branding, awareness, and recall. Today’s Modern Marketers (and advertisers) must be technology and data-driven experts as well as brand champions and storytellers. eMarketer predicts that programmatic ad spending will be over $20 billion in 2016, more than double the amount seen in 2014. 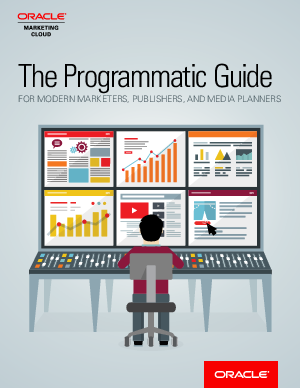 Read this guide to determine how you can use programmatic advertising to deliver a consistent return on your ad investments.